The insulin pump is something that I tend to have a love/hate relationship with. As much as I love being able to push buttons to give myself insulin as well as change rates as I work out, there are a few things about insulin pumps that drive me absolutely nuts sometimes. However, the reasons aren't enough to get me switching back to pens, but I think that it's important to note that there isn't perfection in any type of method. ear it in your pocket - you are faced with having to find a place for it. On a connected, interesting point when I was speaking a few weekends ago at a camp, a parent asked me why a person would want to hide it? I answered with the fact that I wasn't trying to hide my diabetes when I didn't want to put it in my pocket; rather, I was more hiding the insulin pump in order to make an outfit look better. I will gladly tell people I have diabetes, take insulin in front of people and prick my finger, but when dressing with diabetes, sometimes I wish I didn't have to accommodate for an insulin pump. 2. It is needy. Obviously it's not a real pancreas. So, unlike your friend's pancreas, yours is beeping, vibrating and warning you. Its batteries are running out and it's letting you know it doesn't have any more insulin. So, you are always being reminded that you have something extra to take care of. 3. It is a clinger: I will never understand how the pump can be so attracted to door handles and cracks of couches, it seems that the pump finds its way to cling to whatever is around leaving you stuck. It still amazes me how stretchy the tubing actually is and how strong a site can be. I think what you posted, except the dressing thing, are why I haven't switched to the pump. Besided for the face that I cannot tolerate warm insulin. I have to have cold insulin, my insulin has to come straight from the refrigerator or it doesn't work. It wasn't always that way. 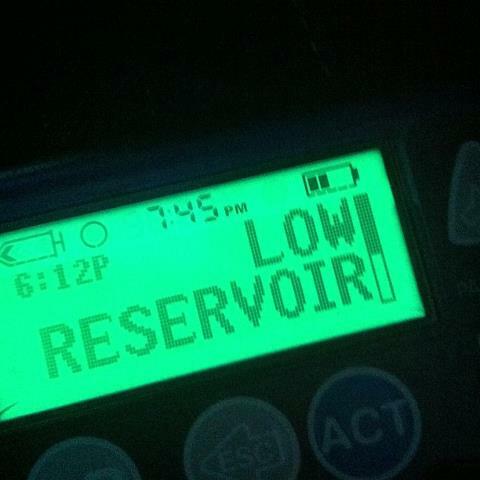 Once menopause hit, the diabetes decided to start doing strange things. So I stick with the vial and syringe. It hasn't been that fast! Or at least it doesn't feel too fast! I started in mid January - so about 15 pounds in 3.5 months and I have had to work very hard!